Sally began her professional fundraising career 18 years ago with Juvenile Diabetes Research Foundation where she helped raise more than $4.7 million through walks, galas and golf tournaments. Since then she has worked as the Director of Development for the Orange County Council, Boy Scouts of America; Executive Director for the Orange County Division of the March of Dimes; Executive Director for the Orange County Branch of the Arthritis Foundation; Director of Major Gifts and Planned Giving for the Girl Scouts of Orange County and Charity Event Guide Coordinator for the first edition of the Charity Event Guide for the Orange County Business Journal. In February of 2013 Sally returned to the Boy Scouts and is leading the Development team as Director of Development. Sally holds a Bachelor’s Degree in Anthropology and Oriental Studies from the University of Arizona; a certificate in Nonprofit Program Administration from California State University, Long Beach; a certificate from the Nonprofit Management Institute at Stanford University and obtained her CFRE in 2011. As a volunteer, Sally has been the President of the Association of Fundraising Professionals, Orange County chapter; Co-Chair of National Philanthropy Day; Board Secretary for Art & Creativity for Healing; Sustaining Advisor to The Christmas Company of the Junior League of Orange County CA; held several board positions for the Junior League of Orange County CA and was a member of the Orange County Capacity Building Consortium. 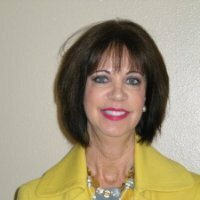 Currently she is a member of the AFPOC Board of Directors and a member of the Executive Management Team for the Junior League of Orange County. Sally lives in San Clemente, has two grown children and six grandchildren.